Like many people, I was very excited to hear the news on 3 January that the Chinese spacecraft, Chang’e 4, had landed as planned in the Von Karman crater on the far side of the Moon. Chang’e 4 in the Von Karman crater. The crater lies in the South Pole-Aitken basin on the far side of the Moon. Image from NASA (artist’s impression). This was a major first, as neither the Russians nor the Americans have attempted to land a spacecraft on the far side of the Moon. 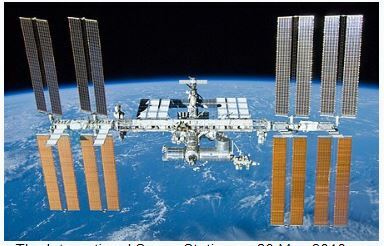 This great success further cemented China’s position as a major power in space exploration. Change’4 was China’s sixth mission to the Moon and their second spacecraft to land. As the far side of the Moon is never visible from Earth, mission control cannot communicate directly with the lander. To overcome this problem, in May 2018 China launched a communications satellite named Queqiao to a point in space called the Earth-Moon L2 point. From there Queqiao communicates with both mission control and Chang’e 4. Although China and the USA do not cooperate in the field of space science, China has stated that it is keen to work with other nations and so Chang’e 4 will carry instruments developed in Germany, Sweden and the Netherlands. One instrument will measure radiation levels on the surface of the Moon. This data will be used to improve the safety of future human missions to the Moon. The Moon is well outside the Earth’s protective magnetosphere and radiation levels are much higher than they are in low Earth orbit. By understanding more about the radiation levels China can ensure that future Moon astronauts have the appropriate level of protection. Another instrument will measure the water content of the rocks underneath the lander. Also on board is a container with silkworm eggs and seeds from two plants – the tomato and Arabidopsis, a small flowering plant – plus water, a nutrient solution and air. If the eggs hatch, the silkworm larvae would produce carbon dioxide, while the germinated plants would use this carbon dioxide and sunlight to produce oxygen through photosynthesis. It is hoped that the plants and silkworms can establish synergy within the container, forming a mini lunar biosphere. A tiny camera and data transmission system allows researchers to keep an eye on the seeds and silkworm eggs to see if they can blossom on the Moon, despite the Moon’s low gravity and the exposure to cosmic rays and the solar wind. Including the communications satellite Queqiao, China has now sent six space missions to the Moon. 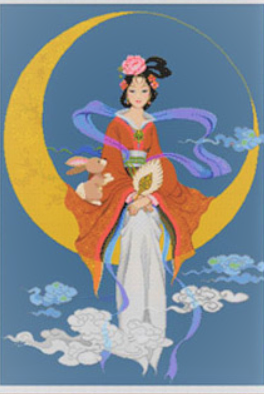 Four of the six were named after Chang’e, the ancient Chinese goddess who lived on the Moon with her pet jade rabbit Yutu to keep her company. The first two, Chang’e 1 and Chang’e 2, were launched in 2007 and 2010 and both orbited the Moon. In December 2013 Chang’e 3 performed a controlled soft landing onto the Moon’s surface, the first spacecraft to do so since a Soviet mission back in 1976. It had a six wheeled rover named Yutu, which moved around and explored the Moon’s surface. 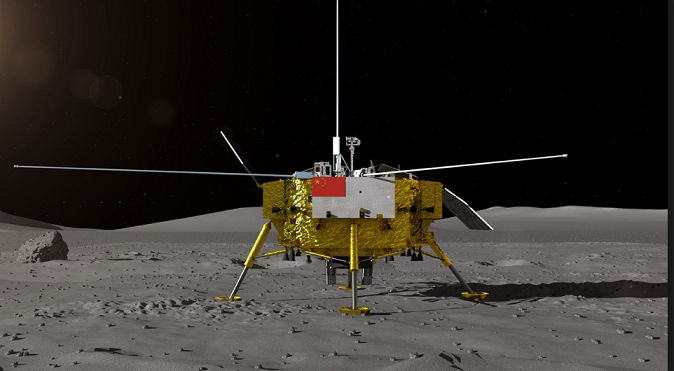 The mission was a success although Yutu suffered failure after about a month on the Moon due to the intense cold on the surface of the Moon at night – it drop to -130 degrees Celsius – which restricted its ability to move around. The fourth mission was the launch of the space capsule Xiaofei in October 2014, which travelled around the Moon then returned back to Earth, with a re-entry capsule landing successfully in the Inner Mongolia region of China. The mission was launched to test the sample return technology which China will use in later spaceflights. In the current mission, Chang’e 4 nothing will return from the Moon. The next mission Chang’ e 5, is planned to launch later this year although the exact date has not yet been confirmed. This will land on the Oceanus Procellarum region on the nearside, collect around 2kg of moon rock, and return the samples back to the Earth for analysis by scientists in China. Another mission to gather and return samples, Chang’e 6, is planned for 2020. “raise its abilities and use the next 15 to 20 years to realize manned lunar exploration goals, and take a firm step for the Chinese people in breaking ground in the utilization of space” (Reuters 2016). Since that date there have been relatively few official statements about the Chinese manned lunar programme so it is difficult to determine how the programme has progressed. Even though the Chinese achievements have been impressive, it is far more difficult to transport astronauts to Moon and bring them safely back to Earth than it is to collect and return 2kg of Moon rock in a small capsule. The investment required by China to put humans on the Moon would be huge. However, if China can do this it would be a massive boost to its international prestige and ultimately also to the nation’s economy, as a result of jobs created and the scientific and technological advances which would come as a result of the programme. Between 1961 and the end of 1972 the United States spent the equivalent of around $200 billion (in 2019 dollars) to achieve the manned Moon landings. This large expenditure brought many advances and a large number of jobs in high technology industries were created. Many of the advances in electronics in the 1960s can be traced back to the space programme and there were some interesting lesser known spin-offs ranging from improvements in kidney dialysis to better home insulation. More details can be found on the following website http://spinoff.nasa.gov/apollo.htm. In 1969, landing a man on the Moon gave the Americans a huge sense of national prestige. It also confirmed their standing as the most powerful country in the world, as at the time no other country had the resources to do this. 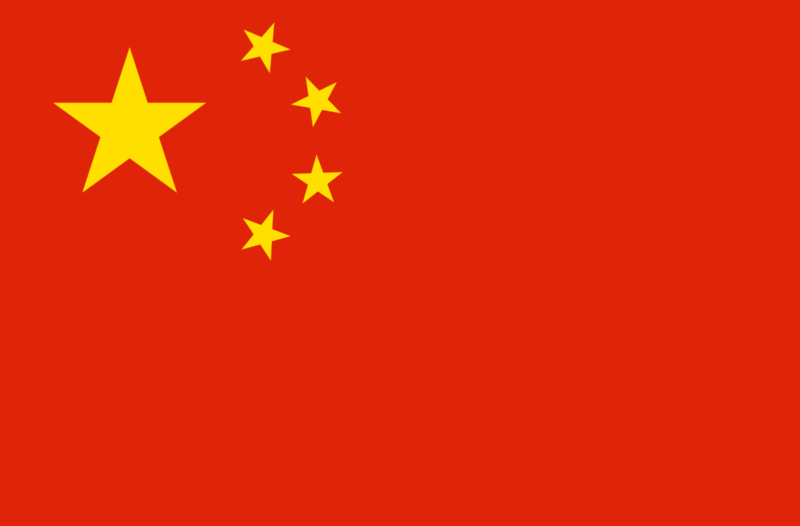 By 2025 China will have overtaken America as the world’s largest economy. By landing a human on the Moon China will confirm its leading position in the world. Reuters (2016) China aims for manned moon landing by 2036, Available at:http://www.reuters.com/article/us-china-space-moon-idUSKCN0XQ0JT (Accessed: 9 January 2019). Chang’e 4 was not the first spacecraft to land on the far side of the Moon. In 1962 the American spacecraft Ranger 4 crashed into the far side of the Moon. This was unplanned and occurred because an on board computer failure caused its navigation system to fail. Ranger 4 returned no scientific data. Including the communications satellite Queqiao, China has now sent six space probes to the Moon. Four of the six were named after Chang’e, the ancient Chinese goddess who lived on the Moon with her pet jade rabbit Yutu to keep her company. Previous Post Where does space begin? I’d much prefer the more accurate term far side was used instead. Thankyou for this excellent post! Clear and interesting as always and gave me far more info than I have managed to find out from the newspapers.